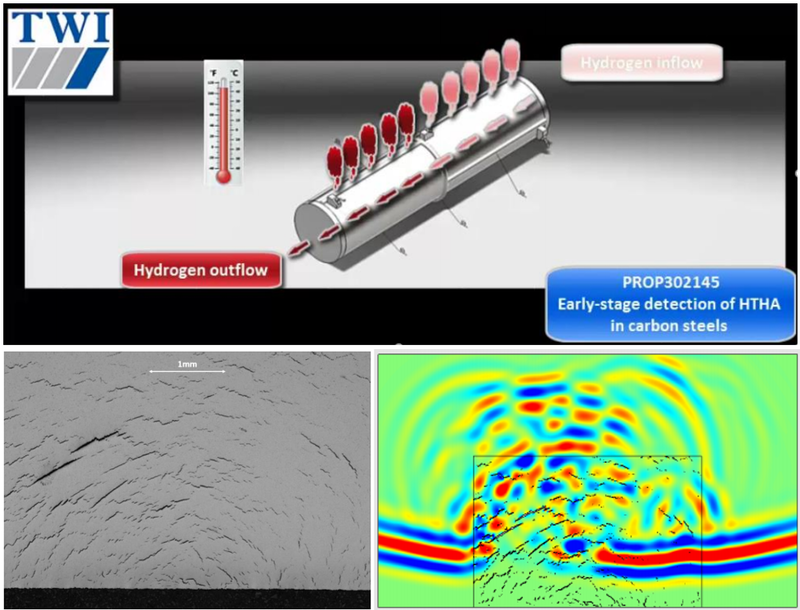 Channa Nageswaran, NDT Team Manager at TWI, said "TWI is currently developing cutting-edge ultrasonic techniques for the detection of early-stage creep damage that are also applicable to the problem of high temperature hydrogen attack (HTHA), therefore, the decision to undertake this project was a natural progression of our existing research. Furthermore, we can also bring to this challenge an in-depth knowledge of non-destructive testing practice, and expertise in residual stress measurement, modelling, fracture and metallurgy." He went on to explain "The benefits that companies or organisations can expect to gain from participating in the Joint Industry Project include: access to proprietary, validated ultrasonic techniques that can detect the early stages of microstructural degradation due to HTHA; resultant procedures for inspecting vessels and pipework whilst in service, or during outages using commercially available equipment; improved ability to meet regulatory requirements for the operation of ageing assets; and a reduction in equipment replacement costs." For more information about the project and how your company or organisation can become involved, please email: channa.nageswaran@twi.co.uk or telephone +44 (0) 1223 899000.